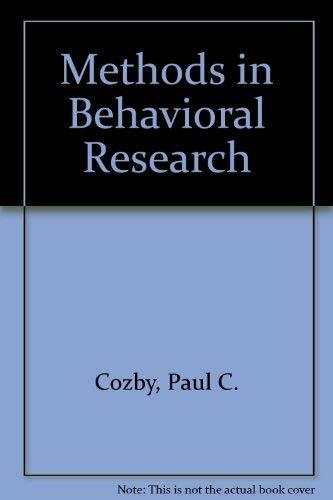 Methods in Behavioral Research has achieved its market-leading position with its concise and strategic approach to methodological decision making. 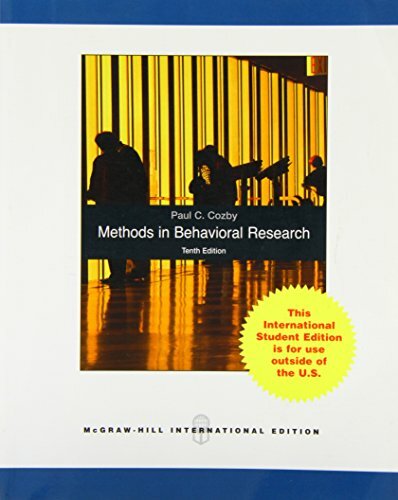 Combining helpful pedagogy and rich examples, Cozby's tenth edition again incorporates learning objectives, illustrative graphics, and activities to increase student involvement. Highlights of the new edition include a broader introduction of different research techniques in Chapter 4, extensive revision of the “validity of measurements” section, and updated structural equations models. Presents an introduction to different research techniques. This book incorporates learning objectives, illustrative graphics, and activities to increase student involvement. It describes 'validity of measurements' and structural equations models. 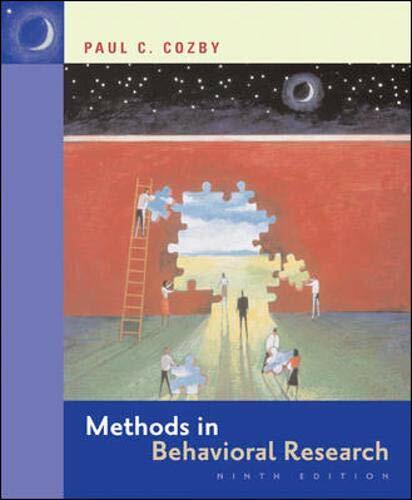 Paul C. Cozby is Professor of Psychology at California State University, Fullerton. He received his Ph.D. in Psychology from the University of Minnesota and B.A. from the University of California, Riverside. He is a fellow of the American Psychological Association and has been an officer of the Society for Computers in Psychology. 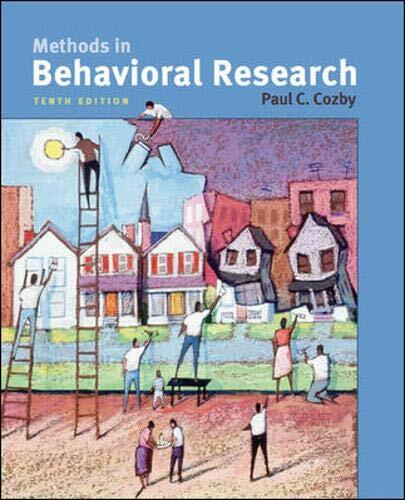 He is coauthor of Research Methods in Human Development (McGraw-Hill). He is currently studying learning in a distance education environment. 4. 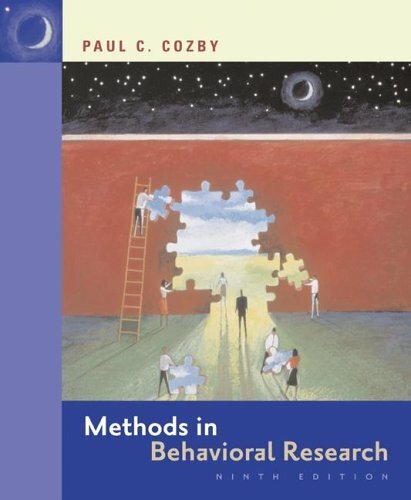 Methods in Behavioral Research Cozby, Paul C.